Chrome free lignosulfonate is a thinner for drilling mud and fluid loss control agent. With obvious capability of anti-high temperature,anti-electrolytes,is naturally non posinionous complately compatible with other admixture agent etc. 1.Excellent thinning performance and filtration control capacity ,the mud performance of fresh water is better than salt water mud. 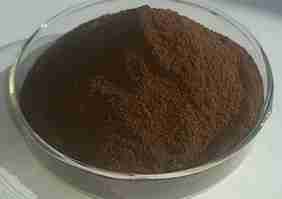 2.Anti-high temperature 150℃,it can cooperate with other admixture agent. 3.Good emulsifying effect in mud. The chemical property of this product is stable and will not change in the normal temperature and ordinary pressure. This product is in weak acid, avoid from the breakage of package and wearing full protective clothing to protect from contact with skin when carrying . It will not self-ignition，you can put out with water or foam fire-extinguisher when it was ignited. If contact with eye and skin, wash eyes with lots of water and wash skin thoroughly with water.